Why is it about this time of year that makes soup a favourite meal? Is it the weather? Or is it that I get lazy and the simplicity of a one pot meal is so appealing? 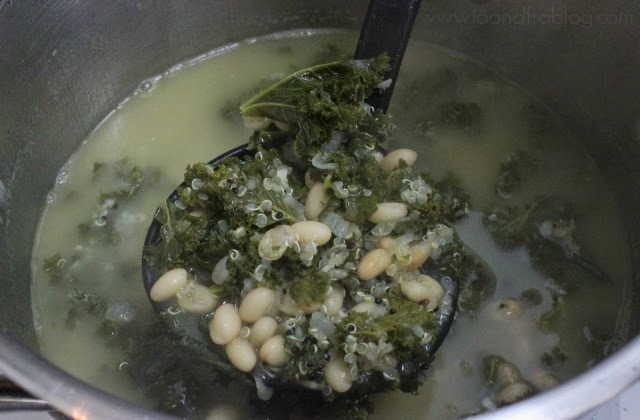 Whatever is it, this kale, quinoa and bean soup is a winner. It is simple and inexpensive to make, has great flavour and is hearty yet healthy. Oh, and its also gluten free. 1. In a large pot, sauté onions and garlic in butter at medium heat until translucent. 2. Add kale and sauté for about 5 minutes. 2. Add broth, water, beans, salt and spices. Bring to a boil. 3. Add quinoa and simmer for 20 minutes. 4. Taste, and add additional salt and spices if necessary. Linking up with Treasure Tromp for Treat Yo' Self Thursday. 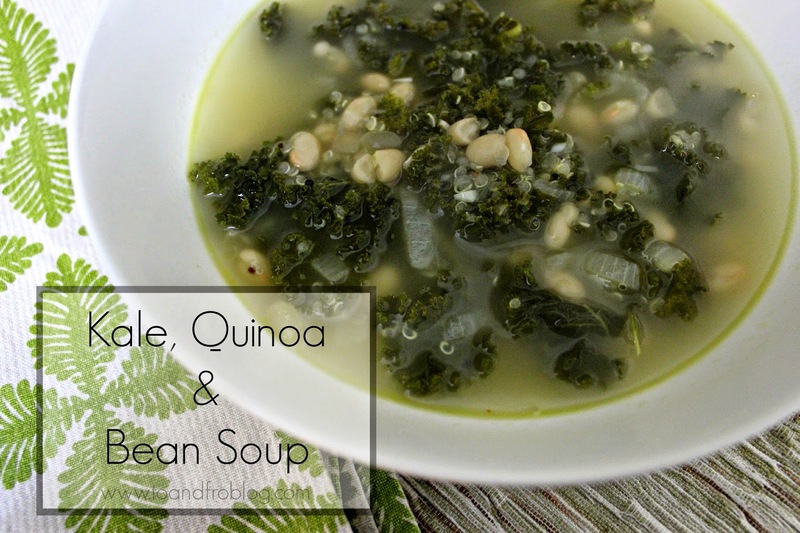 Treat yourself with this delish soup! That looks super tasty! I bet it would go good with some sourdough toast...obviously not gluten free, haha. This sounds really good. Will pin it for me but pretty certain I won't get my husband to eat the Kale! Definitely making this on Sunday! Oh that looks delicious! Good thing we've still got some kale left in the garden!